Robert grew up in east Belfast and came to faith in Jesus in his late teens. He’s married to Karen and together they have a grown up family of their own and seven grandchildren. 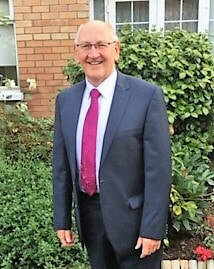 Leaving an established career in the Northern Ireland Civil Service Robert returned to study at Queen’s University and Union College in preparation for ministry. He was ordained as Assistant Minister in Rathcoole congregation and subsequently served for over 5 years as minister of Raloo Presbyterian church in rural east Antrim. He has been our minister in McQuiston since 2001. John grew up in the congregation and was heavily involved with the Boys' Brigade before becoming Clerk of Session (secretary to the Elders body) in January 2001. ​Hilary is our volunteer Pastoral Visitor. She grew up in Londonderry but became a member of McQuiston when she married her late husband Godfrey. Hilary came to know Jesus personally around 25 years ago and has lived out her faith ever since, exercising her gifts first in children’s outreach and now in ministering to senior members of the church family. ​In 2018 she was called and ordained as an elder in the congregation. She loves visiting and chatting to those who are in care, house bound or ill and really wants to see seniors come to saving faith in Jesus even in later life. She has three grown up children and 4 grandchildren. Hilary’s loves music, watching movies, and spending time with her family and friends. 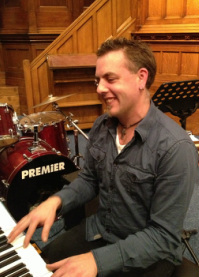 ​Mark is a highly talented musician (not his own description) with wide experience who first came to the church in early 2003. He was brought up in south Belfast, studied music at the Queen’s University of Belfast, and is a graduate of the Pianotech Programme at the University of Western Ontario. Mark has featured prominently in the Music @ McQuiston concerts in recent years and has a big interest in jazz music. Mark is also something of a sportsman. He plays golf, was a member of the under 18 Northern Ireland Soccer squad, and during the 1990-92 seasons played football for Glentoran. Now alas, he plays football only occasionally. ​Sam has been looking after the church﻿﻿﻿ buildings since the end of 2001. A﻿﻿﻿part from cleaning and tidying the halls, preparing the premises for the various﻿ meetings and activities Sam is a keen gardener and enjoys keeping the planters at the front of the church building well stocked and in colourful display. He is a committed Christian and over the years has developed a ministry of hospitality and service to those working about the building and the many people who call to see members of the ministry team.